TripLog is a mileage and expense tracking solution with automatic GPS mileage capture, live fleet location tracking, expense reimbursement, approval control, and more. The enterprise solution is designed to streamline employee expense reporting, produce accurate driver logs, and track fleet drivers automatically. TripLog integrates with enterprise HR, payroll, accounting, and expense systems including QuickBooks Online and Concur. Businesses ranging from healthcare to logistics, or any enterprise with a mobile workforce or field team, can track mileage for the purpose of reimbursing fuel or other costs. Management are able to track fuel allowances, fuel usage, and more, in order to ensure reimbursement is accurate, taking into consideration factors such as driving routes and time spent on the journey. 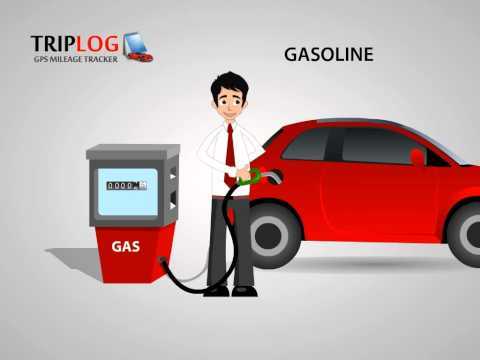 TripLog facilitates the review and approval of mileage within the dashboard tool, which presents data on mileage through features such as Google Maps point-to-point distance tracking, job site time tracking reports, fuel card purchase logging, and real-time location monitoring. Admin users can setup multi-level approval chains, and assign groups of employees to superiors for approvals. TripLog facilitates the creation of an online address book, which contains the addresses of customer or client locations that may be visited by more than one employee. This address book can be shared across the entire team, with data on previous visits including the time and duration of the visits. Users can also use the TripLog route planner to figure out the quickest and most efficient route to each address, or series of addresses. Managers are able to track their entire team at all times during working hours, with the real-time location tracking tool which shows all team members’ current location on one single map at the same time. There are currently no reviews of TripLog. Free: Up to 5 personal vehicles. $4/month for one user or $40/year (app + cloud). Contact TripLog for custom enterprise pricing plans for multiple users (app + cloud). Ensure compliance and data security as TripLog is HIPAA compliant, PCI certified, encrypts data, and offers SSO with Active Directory integration. Maintain accurate mileage reports in order to ensure that reimbursements are made correctly, with features for tracking mileage in personal cars, company cars, purchases on fuel cards, and more. Utilize the Google Maps tool to track end-to-end journey distances, and view all employees on one map to track team member’s locations in real time. Integrate with third party systems including QuickBooks Online and Concur in order to automatically synchronize data from trips and monitor expenses. Gain insight into fuel usage, mileage, employee performance, time spent on jobs, and more, through custom reports and charts. Below are some frequently asked questions for TripLog. Q. What type of pricing plans does TripLog offer? Q. Who are the typical users of TripLog? Q. What languages does TripLog support? Q. Does TripLog support mobile devices? Q. Does TripLog offer an API? Yes, TripLog has an API available for use. Q. What other apps does TripLog integrate with? Q. What level of support does TripLog offer?